THEN YOU'VE COME TO THE RIGHT PEOPLE! Easiest Airport Parking at Alicante Airport with Meet and Greet Service. Safe, Secure, Compound Parking near Alicante Airport with Reliable Meet and Greet Service. Book from 2 Transfers to a whole Year with 12 Transfers included for Peace of Mind. Try out our Award Winning Airport Parking at Alicante Airport. You Won't Be Disappointed! "I live in Spain and travel very rarely. I used Marina Car Park for the first time this year based on a neighbour's recommendation and I was very impressed and happy with their service"
1) If an EXISTING customer, please use the email address we have on record for you. If you are not sure, please email us to confirm. You will then receive a pass code. If you do not receive one, it could be that the email address you are using is incorrect, or not registered with us, or your server may reject the pass code email as spam/junk. Email us in this case. You can edit, add or cancel transfers, and create a new contract if you wish. 2) Please ensure all your Personal Details are completed, including Passport or NIE numbers and your address. We only need this information for tax purposes. Data Protection laws apply. 3) Complete as much detail as possible about your booking, including whether you have LUGGAGE, or PETS to collect before collecting your car. 4) Tell us if friends or family are travelling under your contract, their first name and their mobile number. THEY MUST SHOW IDENTIFICATION TO STAFF WHEN COLLECTING THE CAR, such as a passport. 5) You should receive an email of confirmation. If you do not, do not worry. If you can see the booking, we can, and you should consider it confirmed. Please give us at least 2 days notice if you make, change, or cancel a booking. 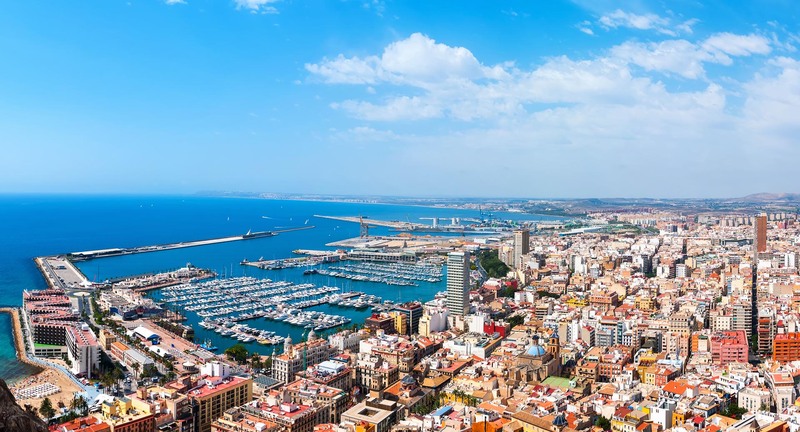 We have over 7 years experience in providing a reliable airport parking service in Alicante to clients who either live in Spain and travel abroad on holiday or for business, or those who travel to Spain, and benefit from keeping a vehicle here. We provide long & short term airport parking for privately owned vehicles at our secure storage compound in El Altet, Alicante. Our clients are truly multi national, including British, Swedish, Irish, Danish, German, Norwegian, Dutch, Belgian, French, Polish and Swiss. Over 95% of clients stay with us, and a further 3% leave us only due to a change in personal circumstance. We pride ourselves on excellent word of mouth referrals. Our airport parking service operates 24 hours a day / 365 days a year and contracts can be for any period of time to suit your travel plans. Our procedure is designed for maximum customer convenience (no having to find the storage compound & rely on being 'transferred' to and from the airport by shuttle bus). We meet you in the airport car park. Our staff are college educated decent guys and girls, who speak Spanish and English. They wear uniforms, and have a dedicated phone line whilst working. For extra security and piece of mind, YOU MUST SHOW IDENTIFICATION TO STAFF WHEN COLLECTING YOUR CAR FROM US. This can include a passport. The same applies to your friends, family or customers. Marina Carpak SL offers low-cost long and short term airport parking at Alicante Airport. We have the best prices available with this level of service. We do what we can to get tyres inflated and batteries charged free of charge to ensure your car is ready. We also jetwash the car each time. Try us! You won't leave us!